The success of our Wikipedia Fellows pilot was featured in the American Sociological Association’s (ASA) publication Footnotes. It’s great to see that academic associations like ASA and their members are as excited as we are about the prospects of academics learning how to improve Wikipedia. Read the article by Community Engagement Manager Ryan McGrady and Educational Partnerships Manager Jami Mathewson here. We published an evaluation report for our Wikipedia Fellows program. The report details an in-depth overview of what we did during the preparation phase, the selection phase, how we created the curriculum, how the meetings went, what our staff roles were, and the outcomes from the pilot. Our reflections ultimately point toward the program’s ability to scale successfully. On our blog this month, we featured an interview with a student whose article was awarded Good Article status. Jane reflects on what she thought of editing Wikipedia as an assignment here. The willingness of a student to return to her work after the end of her course to go through the GA process speaks to the positive experience that the assignment can foster. Our two summer interns have already hit the ground running. Urvashi Verma implemented several performance and design improvements for the Dashboard’s course Uploads tab (see here, for example), and Pratyush Singhal created an already-usable early version of the Article Finder. Our tech mentorship program provides a valuable experience for interns and creates great new features for the worldwide users of the Dashboard to enjoy. Jami attended the Association for Psychological Science’s (APS) annual convention here in San Francisco. In the three years of our partnership with APS, nearly 1,500 psychology students have added more than 1 million words to Wikipedia. We look forward to working with the new program participants we recruited during the meeting. Outreach Manager Samantha Weald continued our efforts to expand our visibility by hosting two webinars for interested institutions this month. On Wednesday, May 23rd she called into the Wikipedia session at Fordham University’s Faculty Technology Day. And on Tuesday, May 29th she spoke with faculty at Eckerd College. We’re excited to work with these institutions and support classroom assignments for their instructors in the 2018-2019 terms. In May, the American Sociological Association (ASA) re-committed to hosting Wikipedia Fellows after the successful pilot we ran with them earlier this year. Early in the month, ASA published an article about the pilot in their member magazine, Footnotes, which you can access online here. 56% of students were up-to-date with the student training modules. Students edited 8,650 articles, created 661 new entries, and added 6.28 million words. While our spring quarter courses are still working on their Wikipedia assignments, the vast majority of our Spring 2018 courses have come to an end. While we’re incredibly proud of having supported 400 courses (our largest number to date), we’re even more pleased that more than half of those courses were taught by returning instructors to the program. Not only do returning instructors require less support from Wiki Education staff, but their students tend to contribute more content to Wikipedia. This means that we can devote more time to helping new instructors navigate their Wikipedia assignments so they too can gain the expertise and confidence to do the assignment again. Classroom Program Manager Helaine Blumenthal will begin to go through the Spring 2018 instructor survey in our ongoing efforts to identify ways to improve the experience of instructors and students. She’ll also be working closely with Wikipedia Content Experts Ian Ramjohn and Shalor Toncray to close out courses from Spring 2018 and begin outreach for the next academic year. As always, we’ll be supporting a number of summer courses as well beginning in June-July. Indiana Jones can keep his crystal skulls and golden idols, as the true thrill of archaeology is found in uncovering the past. Dig sites such as that at Green’s Shell Enclosure in Hilton Head Island, Beaufort County, South Carolina are like time capsules, allowing us to see how people lived in times before our own. One student in Hartwick College professor Namita Sugandhi’s Ancient Civilization and Empire class chose to expand the article on this dig site to include information on the dig itself, as well as on the Native American tribes that could have inhabited the site. African-American history remains an important topic in the United States and beyond, something that Diablo Valley College students in Anne Kingsley’s class on Composition and Literature—Reading the Harlem Renaissance could attest. One article that was expanded in their class was one on Rhinelander v. Rhinelander, a 1925 divorce case between the wealthy socialite Kip Rhinelander and Alice Jones, a biracial woman who he claimed defrauded him by making him think she was white, something that Jones claimed she never did. 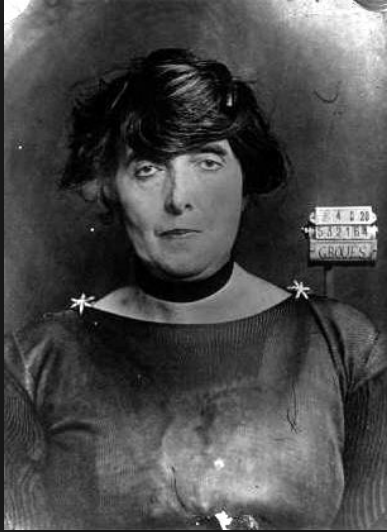 The resulting trial was quite exploitative towards Jones, who was forced to partially disrobe in order to show her skin. She won the case and the marriage was upheld and when they did divorce, she received a settlement. The case influenced art and literature of the time, particularly the novel Passing by Nella Larsen, which examines the lives of two African-American women. The Holocaust is one of the darkest points in recent human history due to the deaths of millions of people because they did not fit into what an oppressive regime considered to be “normal” or “ideal”. Most of the people who were victimized by Nazi Germany and its collaborators were Jewish, however victims also included people with mental illnesses, birth defects, or who were homosexual or political opponents. Journals and personal papers written by people who died in concentration camps or ghettos still remain and provide a valuable look into their lives and struggle to retain hope while trying to survive. Amos Bitzan’s class at the University of Wisconsin-Madison on the History of the Holocaust centered around expanding articles that relate to the correspondence of Sara Spira, a Polish-German Jewish woman that died during the Holocaust. One student chose to create an article on the ghetto Spira lived in, the Gorlice Ghetto. Located in the city of Gorlice, Poland, the ghetto’s population expanded exponentially after the devastation and destruction of Kristalnacht. As the people living in the ghetto were unable to gain access to proper nutrition, resources, and medicine, malnutrition and illness ran rampant. Those that were not sent to concentration camps or outright killed were at constant risk of dying of starvation or illness. Whether they were wealthy or poor, women in the 1600s were typically barred from domains considered to be “men’s places”, such as philosophy or politics. Women who were able to participate in these male dominated disciplines often had a man guiding their way. 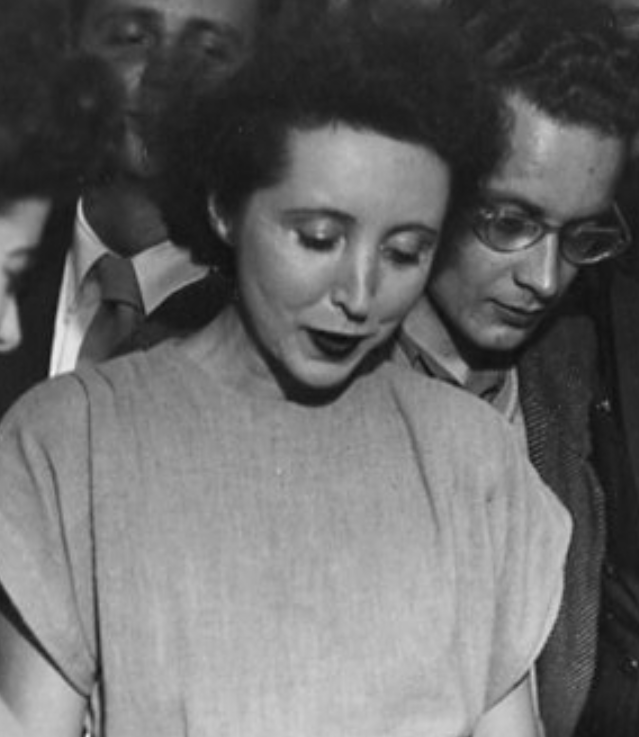 Philosopher Gabrielle Suchon was able to eschew this expectation and is credited as being the only female philosopher of her time without a male intellectual advisor or husband. Suchon further went against the common trends of the time by writing for and about women, as most of the work at the time was produced for men. While living in a patriarchal society, Suchon argued that women were deserving of the natural rights of liberty, learning, and authority and that a woman could live a fulfilling life while unmarried. One student in Ulrike Strasser’s class on early modern women at the University of California, San Diego chose to upload a scan a cover of one of Suchon’s most prominent works, Du célibat volontaire (On the Celibate Life Freely Chosen). 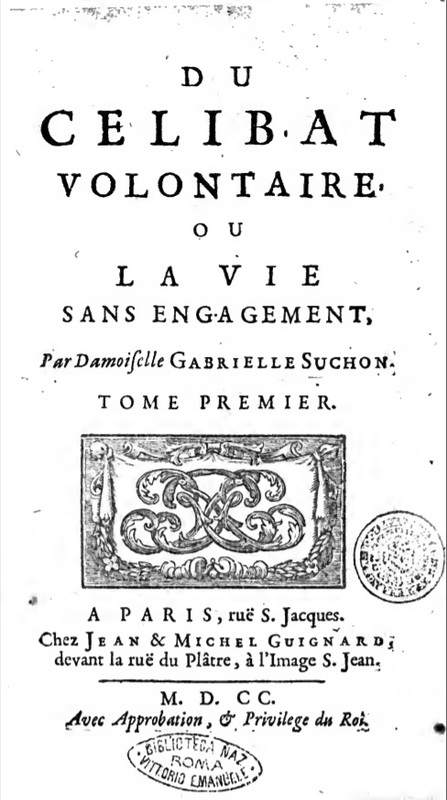 Copy of Du Celibat Volontaire, Gabrielle Suchon’s second work. Image: File:Du Celibat Volontaire.jpg, public domain, via Wikimedia Commons. When people hear the word “isotope”, they tend to think of radioactive isotopes — unstable forms of an element that tend to break apart, releasing radiation. But the vast majority of what’s out there are stable isotopes. In addition to radioactive carbon-14 (14C) there’s the much more common stable isotope, carbon-12(12C). And then there’s the other stable isotope of carbon no one ever hears about — carbon-13(13C). While the ratio of 12C to 13C is pretty stable in the atmosphere, biological processes tend to prefer one isotope over the other, leading the differences in the ratios of stable isotopes as elements are acted upon different biological and geological processes. Students in Alex Sessions’ Stable Isotope Biogeochemistry have created articles about many important processes, including Microbial oxidation of sulfur (which affects sulfur isotope ratios), Intrinsic KIE of RuBisCO (which affects the carbon isotope ratios in most carbon-containing compounds of biological origin), Sulfate-methane transition zone, and Carbonate-associated sulfate. 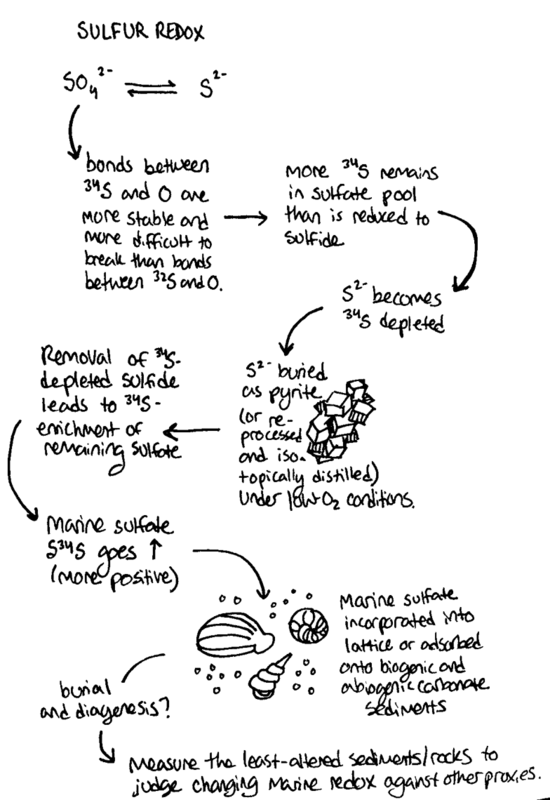 A flowchart describing how equilibrium sulfur isotope fractionation might be expressed in the marine sulfate pool through geologic time, which was created by a student in Stable Isotope Biogeochemistry to summarize some of the content she added to her article. Cecilia B Sanders, CC BY-SA 4.0, via Wikimedia Commons. Even fairly lengthy articles can lack information about important aspects of a topic, and even though Wikipedia’s article on cider was pretty substantial before students in Selena Bryant’s Cider Production class worked on it, they were able to add a large amount of useful information on topics like the styles of cider, the chemistry of cider, and the fermentation process. Other students in the class made similarly substantial additions to the articles about cider apple and Perry, a cider-like drink made from fermented pears. We often read about invasive species and the damage they cause to the environments they invade; it’s a topic that’s well-covered in Wikipedia. While invasiveness is a property of species, habitats differ in terms of their invasibility — the ease with which they are invaded, or the extent to which they are able to resist invasion. But until a student in Ryan Tainsh’s Senior Seminar in Biology created it, there was no article on Wikipedia about this concept. Other students in the class worked on other articles about invasive species including the Burmese python, Common coqui, and Glossostigma cleistanthum, an aquatic plant. Capromeryx is an extinct genus of dwarf pronghorns with four known species that lived in North America from the Pliocene until about 11,000 years ago. While one of these species already had a Wikipedia article, there was nothing on Wikipedia about the genus until a student in Jacquelyn Gill’s BIO 476 class created an article about it. Other students in the class worked on a wide range of topics related to paleontology. We continued to have email exchanges with UNM and NDSU about finding placements. We are also continuing to reach out to York University and Barnard about starting hosting Visiting Scholars later this year. Our Visiting Scholars have been busy. They created 11 articles this month. User:Rosiestep created numerous articles about notable women with images, multiple sections, and substantial sources. A brief sample include: Catherine Trotter Cockburn, Julia Boynton Green, Clara Doty Bates, and Grete Beier. User:Wehwalt has provided vital feedback, tweaks, and edits in the Featured Articles process for several articles. He has also continued his work on the Billy Martin article, adding new sources and expanding sections. User:RockMagnetist edited the following articles several times during May, clarifying concepts, formatting, and expanding: Nanogeoscience, Fugacity, Residence time, Homochirality, Robert Hazen. User:Gen. Quon spent May contributing to several historical articles about Kansas. He posted several images to Commons from the University of Kansas (featured-right). He made significant changes to these two articles: Lawrence massacre, which is not to be confused with the Sacking of Lawrence. User:Czar worked with other Wikipedians cleaning up articles, discussing content, and making a multitude of small edits to several articles. Our newest Scholar, User:Textaural has continued to take advantage of the University of Windsor’s collection to create and expand articles in and around Windsor, CA. He made some additions and careful edits to the Walpole Island First Nation article. Visiting Scholars also uploaded some great images to Wikimedia Commons this month. Mugshot, Héra Mirtel. Uploaded by User:Rosiestep. Image: File:Mugshot, Héra Mirtel.png, public domain, via Wikimedia Commons. CC BY-SA 4.0, via Wikimedia Commons. 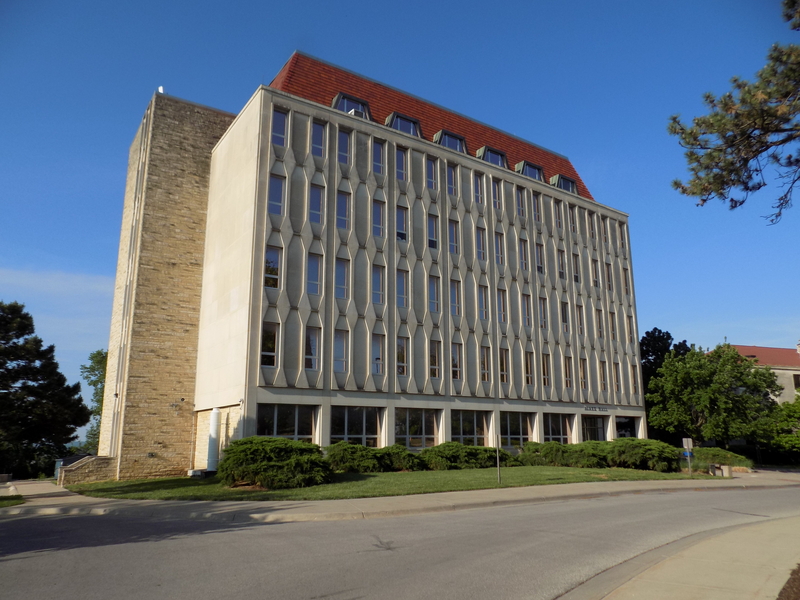 Blake Hall (University of Kansas). Uploaded by User: Gen. Quon. In addition to some Commons uploads, User:Barbara(WVS) added to the timely and very important Violence against women in the United States article this past month. We published our pilot evaluation report to Meta. May was a busy month for Fellows. We reached out to the American Sociological Association, National Women’s Studies Association, and the Midwest Political Science Association in a call for applications. We received 118 and have selected 33 to participate in three simultaneous cohorts. Two of these cohorts will focus on the upcoming midterm elections while the other will be a general topic cohort. We had intended to start a science cohort at this time as well, but we have not heard back from our partner organizations yet. Jami continues to work tirelessly, reaching out to potential partners to maintain steady cultivation beyond this round of cohorts. We want to maintain a healthy stream of applicants since we will continue to start cohorts throughout the summer months. The Wikipedia Fellows program wrapped up in April and the Fellows began writing blog pieces reflecting on their experience. We published a number of these pieces this month. Sociologist Dr. Sine Anahita describes Wikipedia as a community of scholars here; Dr. Michael Ramirez explains how Wikipedia presents a powerful opportunity for public sociology here; Dr. Bradley Zopf explains how the pilot changed his views of Wikipedia’s accuracy and value here; Madeline Gottlieb praises the program as an opportunity to disseminate scientific knowledge to the public here; and Dr. Jenn Brandt shares her experience bringing the Margaret Atwood article up to Good Article status here. We also featured an interview with a student whose article was awarded Good Article status. Jane reflects on what she thought of editing Wikipedia as an assignment and returning to her article after her course ended to bring it up to GA status here. 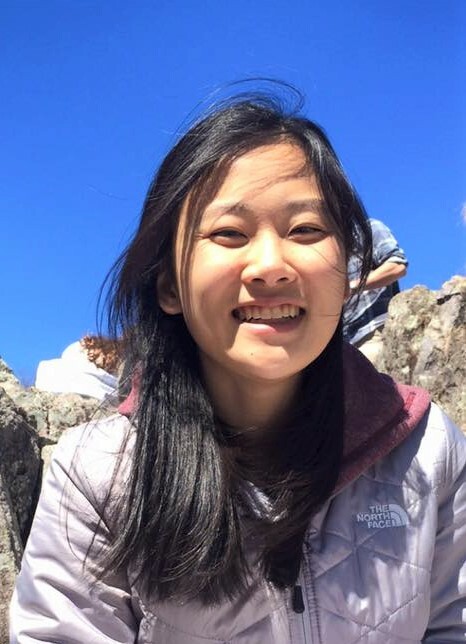 Jane Lee, a student in Dr. Joan Strassmann’s Behavioral Ecology course at Washington University in St. Louis, who brought an article up to Good Article status. In May, the two summer interns hit the ground running. Urvashi Verma implemented several performance and design improvements for the Dashboard’s course Uploads tab (see here, for example), and Pratyush Singhal created an already-usable early version of the Article Finder. Both Urvashi and Pratyush have been blogging about their projects. In preparation for the new Wikipedia Fellows cohorts, Product Manager Sage Ross set up a dedicated chat server, riot.wikiedu.org. This lets us continue providing a (free and open source) real-time discussion platform for new Fellows as the program scales beyond what we could have supported with Slack. Sage and Communications Associate Cassidy Villeneuve also published a new set of training modules specifically for the Fellows program, improving our workflow for developing and deploying new training content in the process. Bug fixes, upgrades, and minor feature development also continued apace. We sorted out a major server limitation for the Programs & Events Dashboard — which was running out of storage space because of its usage by very active programs like Wikidata WikiProject India. The Dashboard also now supports links directly to the Article Viewer (like this), so that we can more easily share the authorship highlighting visualizations for particular articles. 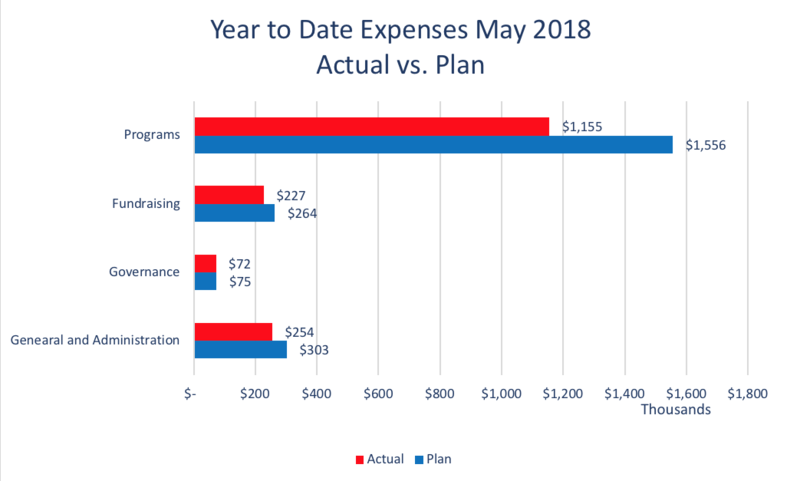 For the month of May, the total expenses were $147,100, $75,000 less than the budget of $222,000. As expected, Programs is under budget by ($63K). The plan included a section of Payroll and Outside Contracted support that was not pursued, creating a reduction in payroll ($40K), Outside Support ($18K), and associated costs ($5K). Fundraising was under budget by ($15K), due to an event that was budgeted, but not attended in the end. 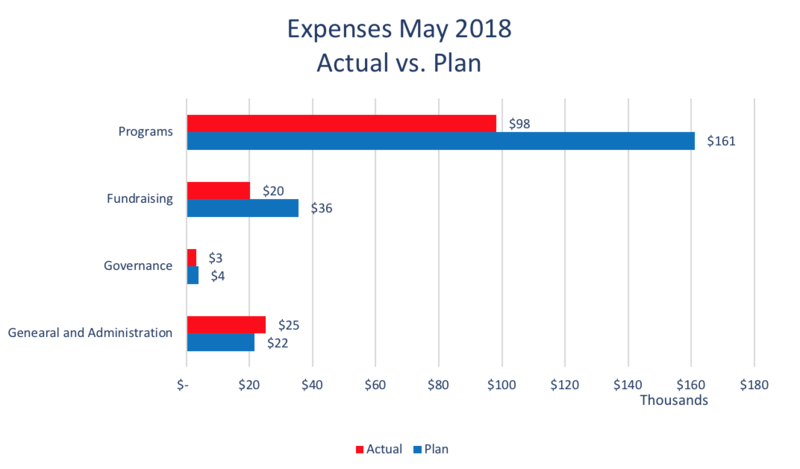 Wiki Education expenses for the month of May 2018. The year-to-date expenses of $1,709,000 were under the budgeted amount of $2,197,000 by ($488,000). For the most part, Governance is on track, just ($2K) short of budget YTD. As expected, Programs is the most under budget due to changes in budgeted personnel ($183K), Professional Services ($144K), Travel ($35K), Associated marketing costs ($9K), administrative costs ($9K) and indirect costs associated with a lowered occupancy ($20K). Fundraising is under budget ($37K) YTD due to a shortage in Travel in December/ January and this month’s conference that was budgeted and not attended. General and Administrative has been under budget due to Personnel changes at the end of Q2 and replaced with outsourced support. This is a known reduction and is under budget YTD by ($48K). Wiki Education expenses year to date through May 2018. 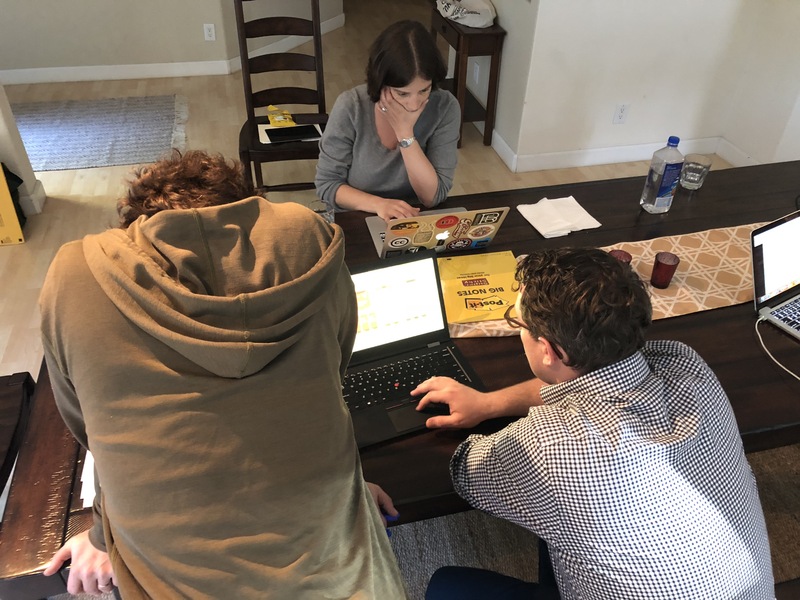 In May, we continued to cultivate relationships with funders who we think might be interested in Wiki Education because of our major initiatives. We learned that we were not accepted to move forward on the Drucker Prize, a $100K grant and leadership development opportunity. The last time we applied for this prize was in 2015, but we did not advance far in the competition. It is unlikely we will apply for this opportunity in the future, as it took significant staff time and has not resulted in any progress over time. We continue to reach out to funders who we think may be interested in sponsoring specific topic areas that we support in our Classroom Program and Wikipedia Fellows program. We believe the Wikipedia Fellows approach will resonate well with funders and corporate sponsors of academic associations. We had initial conversations with potential funders of our Wikipedia Fellows program, as well as our Wikidata pilot idea. We also continued conversations with non-profit organizations who are interested in a co-fundraising approach related to areas of common interest. Finally, we submitted a grant proposal to the William and Flora Hewlett Foundation for $50K to help us hire a consultant to explore a sustainable business model for Wiki Education. This grant should be awarded before the end of June. LiAnna, Sage, and TJ at the senior leadership retreat. In May, the senior leadership team held its traditional retreat prior to the June in-person board meeting. Due to the fact that we weren’t able to book rooms at the Zen monastery in Marin, the 3-day event took place at the Sequoia Retreat Center in the Santa Cruz Mountains. As a result, we finalized the annual plan & budget and made last changes to the new strategic plan. Sage Ross participated in this type of meeting for the first time, as he is getting ready for his new role as Director of Technology. Also in May, Executive Director Schulenburg and HR Associate and Executive Assistant Ozge Gundogdu started looking into alternatives for our PEO, our 401(k) provider, and our bank. After identifying different options for each service, we had an initial meeting with a PEO service and gathered information about their offerings and pricing structure. Image: File:Jane Lee Headshot.jpg, J.j.lee, CC BY-SA 4.0, via Wikimedia Commons.